It's that time again! 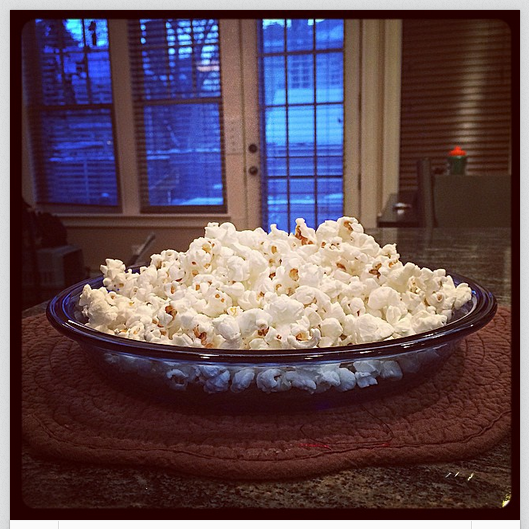 Today we have popcorn in a pie plate, sort of like partridge in a pear tree. The bonus aspect of this shoot is that I'm now eating popcorn for breakfast. The dog is eating the kernels I drop. It's a win-win-win scenario. The third win is yours, obvi, because you get to see the poporn in the pie plate. You're welcome. Great photo shoot. THANK YOU!!! Thanks for the win! Although this is creative and genius, I would prefer to see pie in a pie plate.